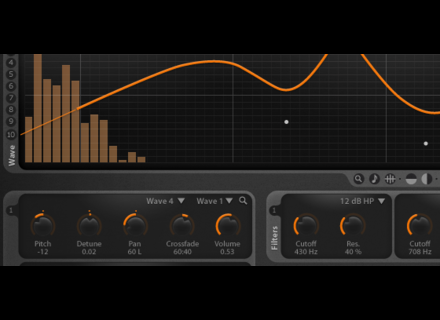 Through December 24th, you can get all CableGuys’ plug-ins for the price of Curve. The CableGuys Bundle is on sale until Xmas, with a special price of 119€ (20% off the regular price). Its compiles the Curve 2, FilterShaper 2, VolumeShaper 3 and MidiShaper plug-ins and you’ll also receive the free update for the upcoming FilterShaper 3. U-He Satin Review Ever since the advent of computer music, many plug-ins have promised us "a true analog sound." This marketing gimmick has been so widely and mischievously used that it has become tiresome... However, when the creator of the sublime virtual synth Diva addresses the issue, our curiosity is inevitably aroused! Friday’s Freeware: Wejaam This week, the friday will make everybody happy for it can be used on iOS, Mac and PC to create electronic music. Sound Magic launches the Producer Bundle The Producer Bundle compiles three processor plug-ins developed by Sound Magic with their NEO modeling technology.